It’s Sunday, Mother’s Day weekend, and you’re faced with a stark choice. You could peel off your footie pajamas and make your way to the nearest tasty brunch spot to splurge on a big meal for Mom. Or… you can keep your p-jams on and put together a delicious (and personalized) spread to really show your thanks to the woman who took care of you all those years. There’s really nothing like fresh-made pancakes to start your Mother’s Day celebration. Classic, homey, and – when made from scratch and hot off the griddle – pretty much unbeatable for brunch. 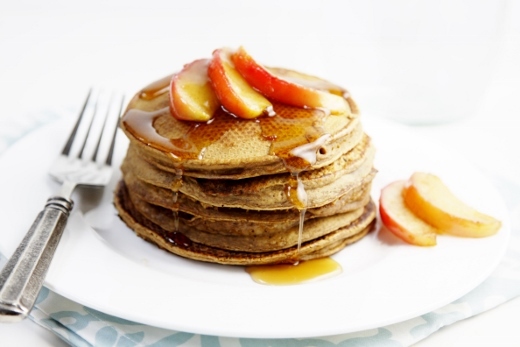 We found a great apple pancake recipe from our friends at KitchenAid that’s sure to impress. Karen from KitchenAid will actually be in-store this Saturday to show off their awesome 13-cup food processor, which is perfect for this recipe and a whole lot more. 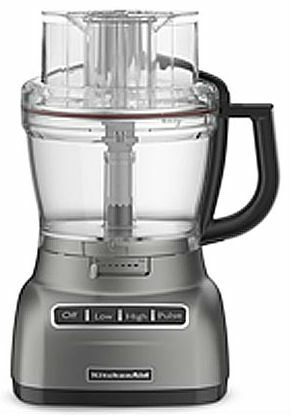 In fact, a food processor makes a great Mother’s Day gift. These do-it-all machines significantly cut down on prep time – that means more time at the table with Mom on Sunday, and more time for Mom once Sunday passes! Thinking outside the Bisquick box when making pancakes makes a whale of a difference – and not just because of the extra love that goes in. The apples in this recipe add a lot of flavor, and there’s room to experiment with different varieties. Serve this up on Sunday and you’re sure to score some brownie (or breakfast) points with Mom. Using a food processor will dramatically speed up your brunch-making process! Attach the medium shredding disc to the small bowl of your food processor. Place 2 apple halves into the ultra-wide-mouth feed tube and push them through the tube. Repeat with the remaining apple halves. Remove the shredding disc and small bowl. (If you’re going sans-food processor, you can use a coarse cheese grater to shred your apples, or even a mandolin for a fine julienne). 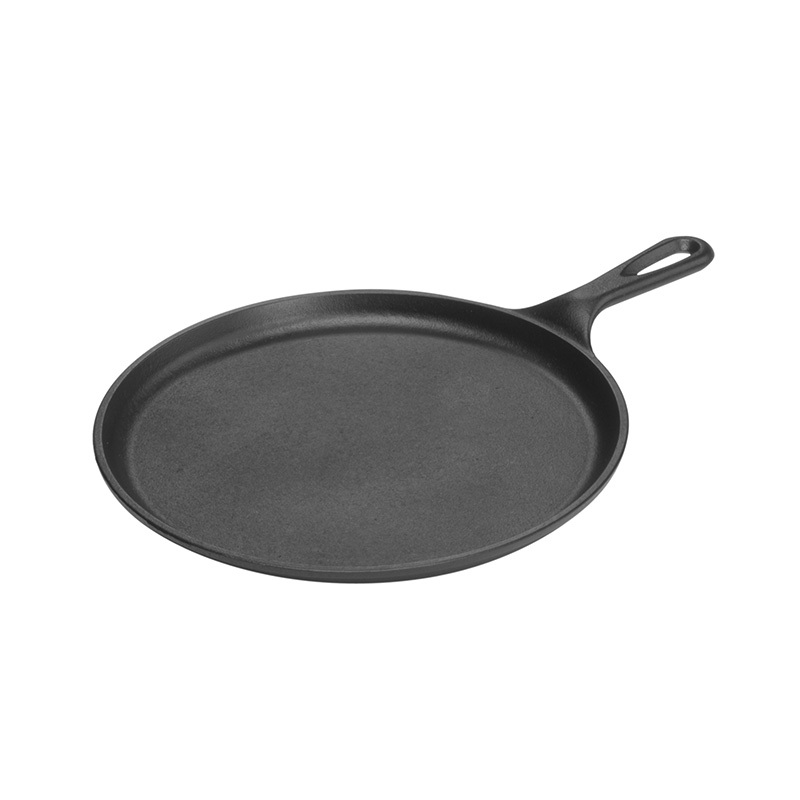 A cast-iron griddle will hold heat well – great for pancakes! Heat a heavy non-stick pan (or a cast-iron griddle, which will hold the heat very well), and very lightly grease it with the extra butter or oil. When the pan is hot, pour in about 1/3 cup batter. Cook pancakes over a low heat until bubbles appear on the surface and the cakes are golden on the underside, then flip and cook another 30 seconds. Set aside and repeat with the remaining mixture. Serve in short stacks with maple syrup and berries if desired. Pancakes can serve as a centerpiece, but you’ll want to add something around the edges to fill it out. A tart granola yogurt parfait will complement the sweetness of the pancakes, and you can’t go wrong with a side of bacon. Fresh-squeezed orange juice will wash everything down really well – you could even add champagne to make mimosas! Stop by the store this Saturday to get professional advice on food processors and much more! We’re very excited to welcome Karen from KitchenAid, who will be here to demonstrate the full range of the latest in the company’s renowned line of food processors. As an added bonus, we’re offering a free gift with purchase of $30 or more of KitchenAid products. Don’t miss it!